President Trump has asked the Department of Justice to investigate whether the F.B.I. infiltrated his campaign in 2016 for political purposes. In response, the department granted the president’s team access to highly classified information from the special counsel’s Russia investigation. What’s behind this decision? • Julie Hirschfeld Davis, who covers the White House for The New York Times. • In a series of tweets on Sunday, President Trump demanded an investigation into whether an F.B.I. informant “infiltrated or surveilled” his campaign. 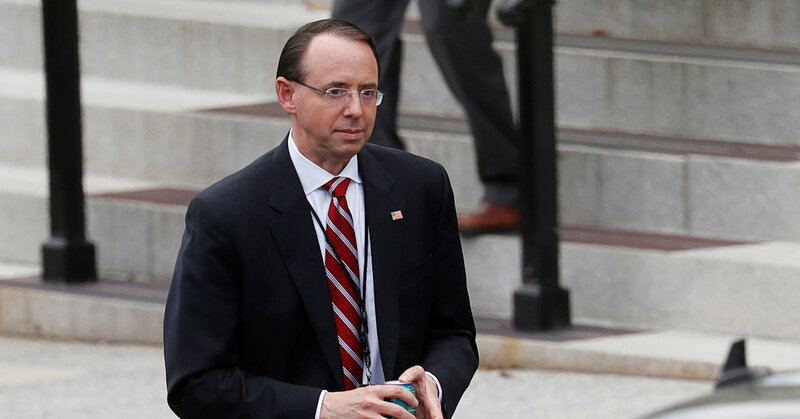 The deputy attorney general, Rod J. Rosenstein, asked the Justice Department’s inspector general to accommodate the president’s wishes by expanding an existing inquiry. • The president’s tweets referred to a Times report about Robert S. Mueller III, the special counsel, examining whether countries other than Russia, including Saudi Arabia, had offered assistance to the Trump campaign. • After a White House meeting on Monday, intelligence and law enforcement officials agreed to disclose some sensitive documents from the Russia investigation to Republican congressional leaders.